David Constable lives along Deer Valley Drive, just east of the Old Town roundabout, and sees speeding drivers as one of the problems in his neighborhood, long a complaint of Parkites across the city. The section of Deer Valley Drive where Constable lives will be redone as part of a major roadwork and utility project slated in 2013. He said on Tuesday he would like signs installed during the work that digitally display the speed of passing drivers, something that is planned. "When we pull out, traffic’s coming down the street, flying into the roundabout," Constable said. Constable was part of a crowd of 25 people or so at an open house at the Marsac Building on Tuesday evening to learn about the upcoming work, which is expected to be one of the major road projects in the area this year. City Hall staffers and consultants set up maps for people to write suggestions on as they learned about the roadwork blueprints and poster boards detailing the upcoming project. Constable said Deer Valley Drive as it passes his place is a "beautiful road" already. He acknowledges, though, that a water line buried along the corridor is an issue. "It will be nice to get it done. It will be nice to get it fixed," he said. City Hall wants to start the work by May 1 and complete the project on Oct. 15, before the season’s first big snowstorm. Officials anticipate it will cost between $3 million and $4 million. Of the total, $1 million will be funded through a federal grant and the rest will be spent from City Hall’s coffers. The section of Deer Valley Drive between the Old Town roundabout and the intersection with Deer Valley Drive North will be under construction. The project will include resurfacing the road, replacing a water line, upgrading a storm drain and replacing a section of a natural-gas line. rebuilding sections of sidewalk to create an 8-foot-wide sidewalk on the south side of the road through the entire stretch of the work zone. Lamps to light the sidewalk will also be installed. building seven bus pull-outs to replace the 10 bus stops along the stretch of road now. None of the existing bus stops have a pull-out. 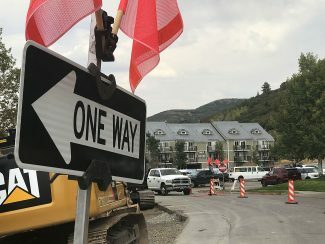 Matt Cassel, the Park City engineer and the City Hall staffer overseeing the project, said at least two digital signs that display the speed of passing drivers will be installed, one on each side of Deer Valley Drive. He said, though, the overall project is not meant as speeding deterrent. Cassel said people he spoke to at the open house wanted to learn how the project would impact their daily lives or how the roadwork would affect construction jobs. Cassel has said road closures would be required at some points, but details have not been finalized. The closures would be planned in the spring or fall, when traffic volumes dip from the busy summer. "I haven’t heard anyone who’s really, really dismayed," Cassel said. "I see nothing happening to slow down traffic!!!" "Note: speed radar signs! 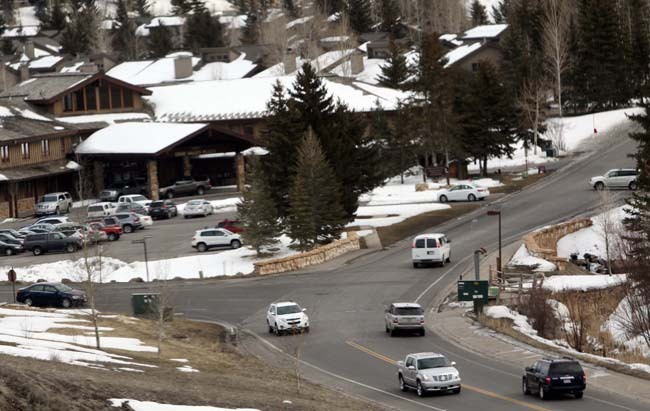 Slow down traffic"
Deer Valley Drive is a well-traveled road throughout the year, providing a direct route to lower Deer Valley and nearby neighborhoods. 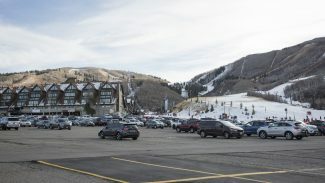 It is also the primary route to Deer Valley Resort. 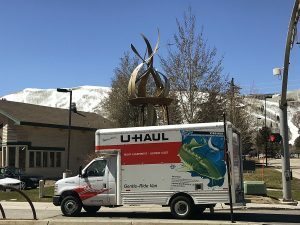 City Hall plans to prohibit the roadwork on busy days during the summer like the 4th of July, the Tour of Utah bicycle races and the Park City Kimball Arts Festival. 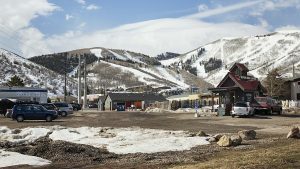 Work will be halted early on days that Deer Valley Resort is holding events. John Demkowicz, who lives on Sunnyside Drive, wondered at the open house whether the sidewalk that is planned could be moved to the other side of Deer Valley Drive so it would receive more sunlight, and if that type of shift could be explored. He said the overall plans are fine to him. The roadwork will not be pleasant, though, he said.